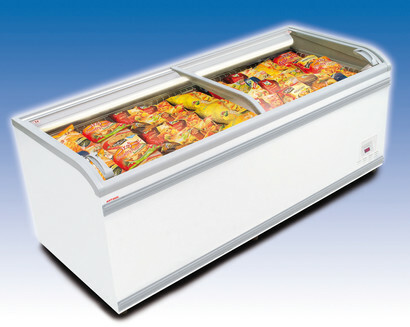 The chiller and freezer unit that maximizes your product display. The PARIS model. This cabinet has been designed with shaped lids and its front edge has been lowered to enable customers to look directly into the cabinet. This means that you can provide maximum product visibility and experience increased sales opportunities. 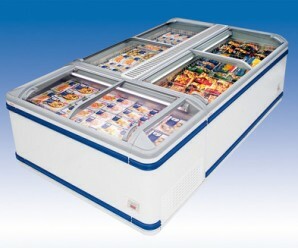 The PARIS model comes with an internal light that will attract customers who will be able to see the products clearly displayed within the cabinet – something that should result in an increase in impulse purchases. This exceptional innovation can be either used as a stand alone cabinet or banked together into an isle. When used within an isle, the PARIS model includes an optional end cabinet that will not only successfully optimize space but also create an aesthetically pleasing end to the isle itself. The PARIS range can also be installed below shelving.